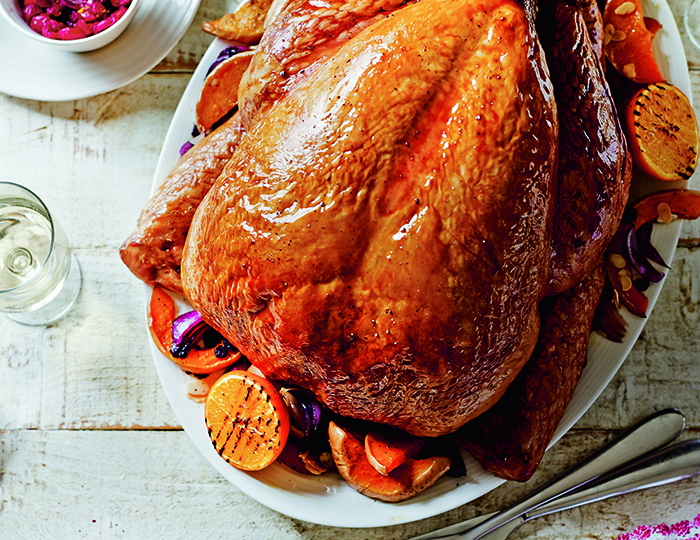 Are you a turkey and stuffing kind of family? 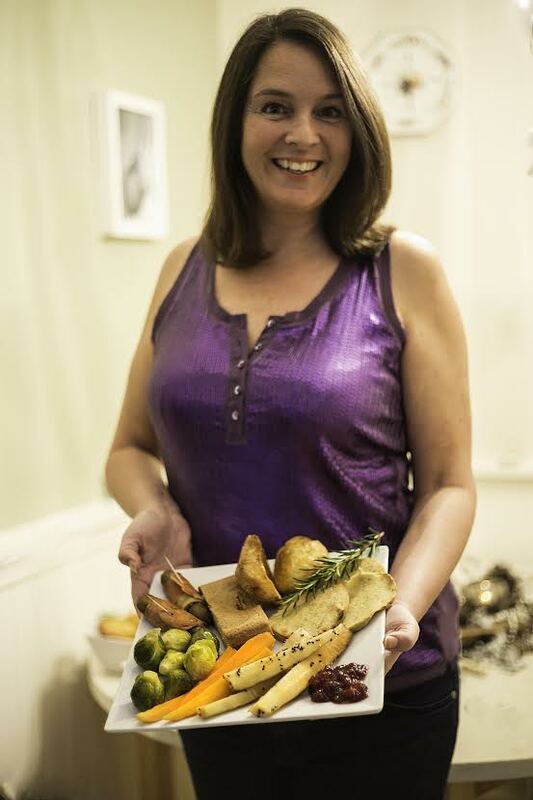 Perhaps you prefer a juicy roast beef, or need something special for veggie guests this year? Whatever your tradition, we have some tasty suggestions – with a choice of sides and wines to match – to make the main event a big success. 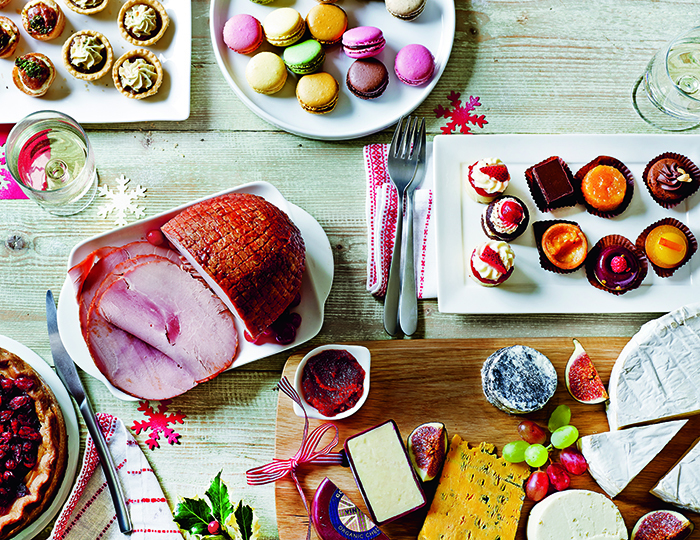 So, you have a vegetarian coming for Christmas? Firstly, there is no need to panic. With a little preparation and a chat with your guest before the big day, everything should run smoothly. Many veggies do love the traditional Christmas dinner, so ask if they would like something completely different or not. Perhaps they would prefer not standing out at the dinner table and would just enjoy everything that everyone else is eating – without the meat! 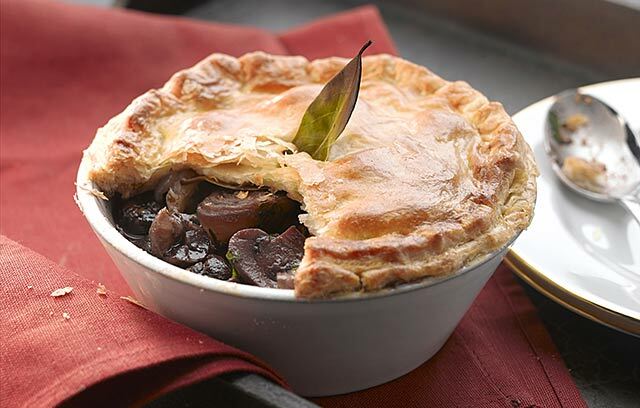 Maybe as their centrepiece a tasty Chestnut Bourguignonne Pie would go down well, or simply some meat-free alternatives. If it all sounds too much, talk to your guest. They might be able to bring their own turkey substitute, making things much easier. 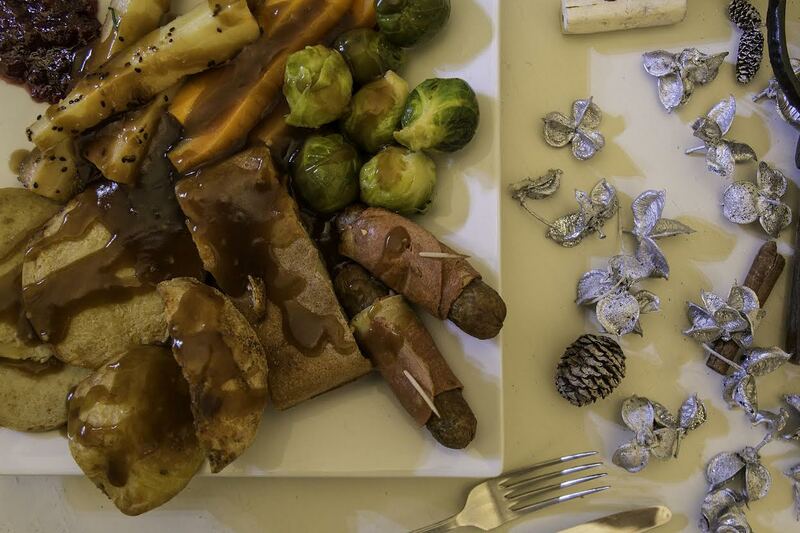 Make sure that the veg and roast potatoes are cooked separately from the meat or any animal fat. Gravy can easily be made without meat juices. We always add a spoonful of Vegemite to ours as it tastes great, is vegan, and is bursting with B vitamins. Check the ingredients of mince pies and Christmas puddings – some will not be veggie or vegan friendly. If you’re making your own, just run the recipe by your guest beforehand so there’s no stress at the dining table. Replacing butter for vegans couldn’t be easier. Tomor is great for cooking with, and there is also Vitalite which I know several people like as it is very buttery. Tofu is super for recipes such as quiches, or simply mashed up and fried with onions and dairy-free cheese for my favourite: Scrambled Eggless. There are many dairy-free milks to choose from, like soya (light/unsweetened/organic/wholebean), coconut milk, various almond, hazlenut, oat, rice, hemp… see what they prefer. It is well worth having some great standbys in the freezer. The Fry’s Vegetarian Pepper Steaks and Schnitzels are perfect with roast potatoes and your Christmas veggies. The Vegi Deli sausages are great too – already cooked. We also love tofu roasted with olive oil and sun-dried tomatoes. No matter why you are exploring meat or dairy-free options, never focus on what you won’t be having, always focus on the abundance of new products that are out there waiting for you to try!